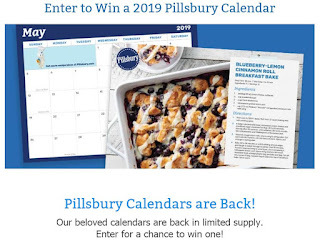 Pillsbury 2019 Recipe Calendar Giveaway - 350 Winners. Limit One Entry, Ends 11/18/18. GOOD LUCK!! !